After a mini-saga, Brazilian President Jair Bolsonaro tried to clarify that the message behind his eyebrow-raising “Holocaust can be forgiven” phrase was gravely distorted. “My speech was never meant to be used in a historical context,” and its other interpretations only serve those “who want to push me away from my Jewish friends,” Bolsonaro wrote in a statement, shared by Israel’s envoy to Brazil, Yossi Shelley, on social media. Shelley said that he had earlier asked Bolsonaro to explain the comments on the Holocaust he made at an event meeting with Evangelical pastors in Rio de Janeiro on Thursday. The Brazilian leader’s phrase “We can forgive, but we cannot forget” the killing of millions of Jews during World War II quickly drew criticism from Israel’s President Reuven Rivlin and the Yad Vashem Holocaust memorial center. “Forgiveness is something personal; my speech was never meant to be used in a historical context, especially one where millions of innocent people were murdered in a cruel genocide,” Bolsonaro added. 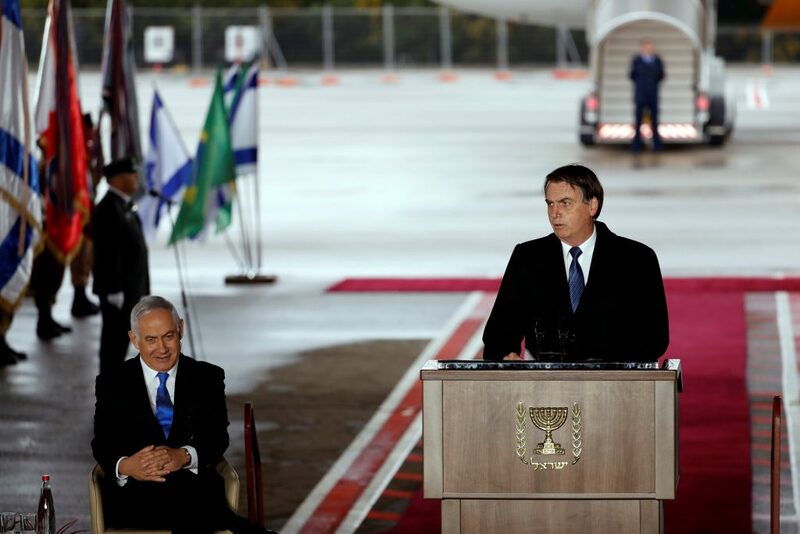 A right-wing politician, Bolsonaro closely aligns himself with Israel and the government of Binyamin Netanyahu. Two weeks ago, he undertook a four-day trip to the country, during which he visited Yad Vashem.